In the equine world, there are many different types of animals and breeds. Many of the animals in this family, like horses and mules, have been domesticated over thousands of years. These animals have done a lot to advance human societies and are, to this day, a very important part of many cultures. As popular as these animals are, many people don’t understand what makes them so special. Furthermore, most people aren’t aware of the differences between horses and mules and what makes them such unique creatures. Horses and mules are very closely related, but there are many things that set them apart from each other. Their history, characteristics, and everyday uses vary greatly. By understanding these differences, those interested can gain a new appreciation for these magnificent gentle giants. The history of mules and horses is tied closely together since a mule’s origin begins with a horse and a donkey. These animals have developed through history alongside each other, while still having their own unique origins and paths through history. Millions of years of evolution formed horses from their small, dog-like origin species to large, hooved creatures. These wild creatures were slowly domesticated by different civilizations. By around 3000 BC, about 1000 years after humans began domesticating them, horses were widespread across the world’s civilizations. They were used for locomotion, various agricultural activities, warfare, and much more. Their connection with human populations has been so strong that horses are often credited with many modern advancements. Over the years, humans have bred horses for a myriad of uses. There are large workhorses, slender, fast racehorses, and multipurpose breeds, all of which have been bred by humans for specific purposes. No matter their use, for thousands of years horses have helped to make life easier and more enjoyable. Though their origins are very different, mules have been a part of human societies for almost as long as horses have. There is evidence that mules were bred as far back as 3000 BC. A mule is the offspring of a female horse, known as a mare, and a male donkey, known as a jack. Mules were bred to bring out the best characteristics of both parents while eliminating the undesirable characteristics. Generally, mules are infertile, so mules can only be conceived between a horse and donkey, not two mules. When looking at horses and mules, it is very easy to spot their similarities and differences. At first glance, most people realize the difference in size and shape between a horse and a donkey. There are, however, many more differences that go much deeper than the surface. Between their physical characteristics and their temperament, horses and mules are two very different and very interesting animals. With over 300 breeds in existence, there are many variations of horses. Some horses are long and lean, while others are stocky and broad, and others fall somewhere in between. Horses are measured in hands, with a hand being 4 inches. Generally, horses stand anywhere from 14 to 18 hands high. The average riding horse is around 15 to 17 hands high. The overall size and build of horses are what determines their use, whether it be working, riding, or racing. Overall coloring can range from a myriad of shades of brown, gray, and black. They also have unique markings, such as mottled spots, diamond markings on the forehead, white faces, and different colored legs. These colors and markings make horses as beautiful and diverse on the outside as they are on the inside. The temperament of horses varies as much as their color. Generally, there are three types of temperaments that can be found in horses. There are cold blood, hot blood, and warm blood horses. Cold bloods include draft horses and some ponies, which are perfect for slow and heavy work. Hot bloods have a more intense temperament and are regarded for their speed and endurance. Warm bloods are a cross between hot bloods and cold bloods, resulting in even-tempered horses used for riding and some competitive events. Mules are every bit as diverse as the horses they share half of their genes with. They come in a variety of sizes, from minis that weigh 50 pounds to maxis that weigh over 1000 pounds. Most common mules fall somewhere between these two extremes. The average mule is around 15 hands, or 60 inches, from front hoof to withers. This size makes them about the same average height as horses, but their build is a bit different. The muscle of a mule is arranged differently than a horse, giving their bodies a broader look and their back less of a downward curve. The most obvious difference between a horse and mule can be seen in the ears, which are much larger than a horse, and the mane and tail, which are usually much thinner on a mule than a horse. The color of mules varies depending on the mule’s parents, which means they have even more diversity in coloring and markings than horses do. The most common are shades of brown, like sorrel and bay, and grey. However, some mules can be white, golden palomino, and buckskin. Their patterns can range from solid to small spots to a beautiful large color pattern of what is called “paint.” Mules take the coloring of their horse mother and often present an even more unique color and pattern. 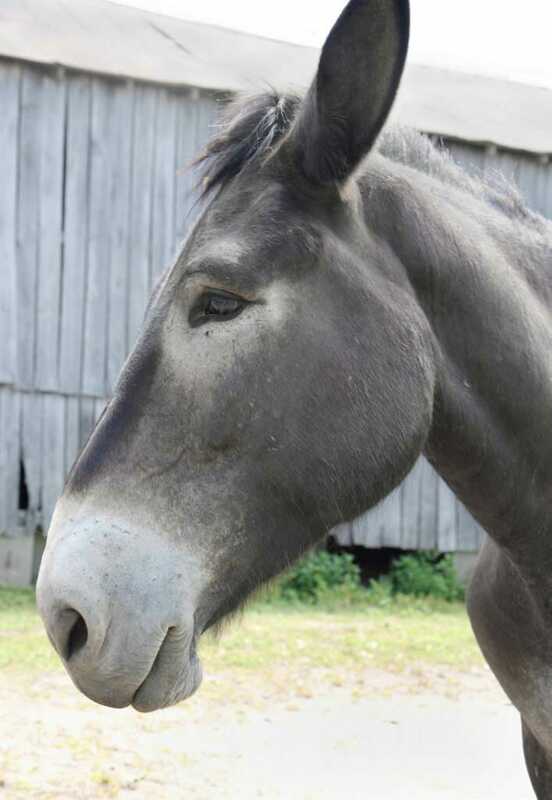 The temperament of a mule, like its coloring, is a mixture of its parents. The temperament of a mule takes the intelligence of a horse and the mental endurance and fortitude of a donkey and combines them beautifully. This results in a mule which is smart, patient, and enduring. Horses and mules have been used for thousands of years, and continue to be used today, for many important functions. In addition to their historical uses, these animals continue to be an invaluable asset to their owners in present times. Horses and mules are capable of many different things which makes them terrific animals to have around. Today, horses are used for riding, sporting events, agriculture, and in some workforces. Though much of the world no longer relies on horses as a main source of transport, there are still many places where horses are essential to travel. In places like the US, horses are mainly used for leisure or sport. Horseback riding is a very popular sport, even just as a leisurely hobby. Many people enjoy spending quality time with horses and believe that connecting with horses is therapeutic. Horses are also used for a variety of competitive sports. Horse racing is the most popular, but other sports like roping, barrel racing, and bronco busting are popular in many circles, as well. There are also competitive shows, like dressage, which showcase the skilled movements and training of horses. These events are especially popular in European cultures. Horses that aren’t used for leisure or sports may be used as working horses. Some farmers prefer to use horses on their farm, either for cost savings or to be eco-friendlier. There are also many horses that serve on police forces, like the popular Royal Canadian Mounted Police, and various police forces in populous urban areas. Whether horses are working or playing, they have a very special place in everyday life. Though mules were most commonly used for hauling, they are used for many other activities today. When choosing an animal to ride along rough terrain, the surefootedness of a mule makes them the perfect choice. This makes them especially valuable in less developed countries where large road systems aren’t constructed. 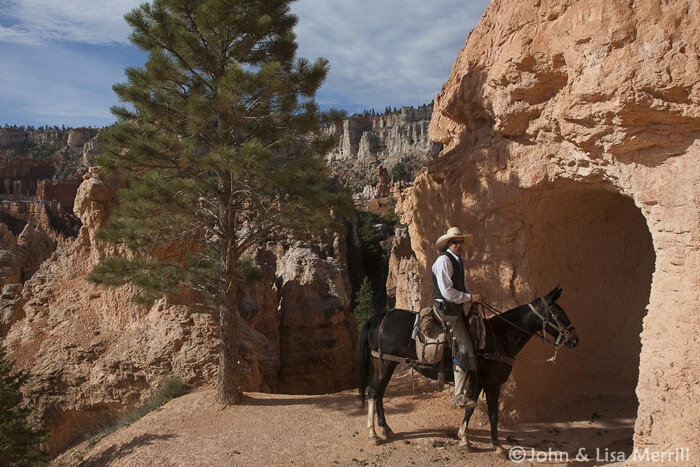 Or, in places like the Grand Canyon, mules are used recreationally to take tourists down precarious trails on rocky terrain. Across the globe, mules are a big part of many people’s lives. In recent years, using mules for traditional horse shows has become more popular. Mules are now trained for dressage, pleasure riding, and even jumping shows. This has opened a new opportunity for mules to be able to showcase their incredible intelligence, skill, and trainability. Mules are still used around the world for work in pulling and farming. Their sturdy bodies and mild temperament make them a great choice as a working animal. They help to plow fields, haul loads, and do many other important tasks. They are an invaluable resource for their owners. The differences between a horse and a mule go so much deeper than what meets the eye. The horse and its half-blood offspring have many unique things that make them some of the most incredible animals that walk the earth. Though these animals are different, they are both incredible assets to humans, past and present.